Spiral bound, method book. 132 pages. David Vining has been the trombone professor at the University of Kansas, the Cincinnati College-Conservatory of Music and currently teaches at Northern Arizona University. He was previously a member of the acclaimed Chestnut Brass Company and has appeared as a soloist and clinician nationwide. Through his own experiences in overcoming physical challenges, he has researched, written about and given lectures on how musicians move when making music. He has authored a number of pedagogical tomes including Daily Routines, Flow Studies, Long Tone Duets, Sight Reading Duets, Range Songs, The Breathing Book and What Every Trombonist Needs to Know About the Body. Includes measuring devices, harmonic series, tuning systems, use of drones. Addresses slide motion, body/hand position and other factors affecting pitch. Focuses on centering pitches, partials, chords, slide positions, ear training. with a tuner covering all positions and keys; with a drone covering all positions and keys. presented in three parts: 1. students and teachers, 2. equal parts, 3. solos and excerpts. These cover various intervals, keys and registers. Works on second and fourth position, third and fifth position, sixth and seventh position. 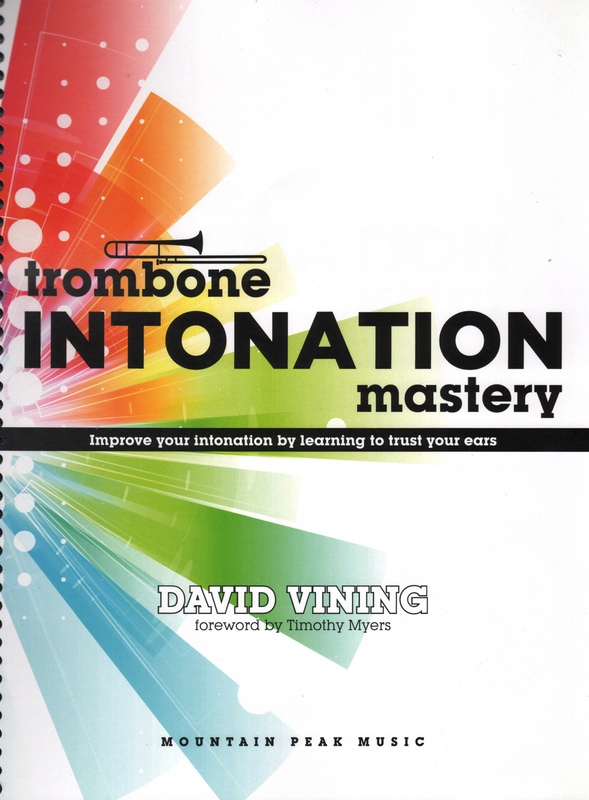 Trombone Intonation Mastery is presented in spiral bound, notebook format, making for ease of reading on the music stand. Printing, artwork, illustrations, paper quality and layout are all first class.